We have been in our new house for seven months now, and it has been exciting getting to know our new garden. During the Summer it was gorgeous, we never knew where the next blast of colour was going to appear, and now Autumn is here and we are watching for the changes of a different season. What will lose it’s leaves, which will grow berries or have spectacular colours, and surprisingly to me – the roses are still flowering now! Sounds like a gorgeous garden. I love dead heading it’s a lot more straight forward than pruning. Hope all is well? Jane ps. My children’s book is out! Looks like a lovely garden. I think you may be in luck with the weather, at least for the next day or two! This looks like a gorgeous garden, full of autumnal colours. I am terrible at gardening and despise weeding but maybe I should put the hard work in and then I wouldn’t need to have such garden envy! How lovely to be seeing the first autumn in your garden; looks like you’ve stilll got a decent amount of colour left. It is looking very lovely and autumnal. Don’t tidy it up too much as you need to leave some places for insects to overwinter. I am really fond of Autumn, lovely pictures showing it at it’s best. It’s still looking really beautiful. Like you, we’ve got some weeding and tidying to do. I told myself we would plant some more bulbs over half-term, so we’d better get out there! It’s great that your son likes to help. Sadly, my kids lack enthusiasm (can’t think where they get that from!). You have a beautiful garden, ours is still a shambles 10 years after moving in! 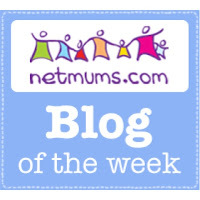 Kara recently posted…The Great Big Christmas Days Out Linky! You’ve got some lovely splashes of colour there for autumn – your garden is lovely. I cannot believe it has been 7 month already! It looks like you are doing a lovely job with your garden. We have been here over 3 years and I looked at my poor garden again today and thought I must do something with it.